Email marketing is cost effective, highly targeted and measurable. 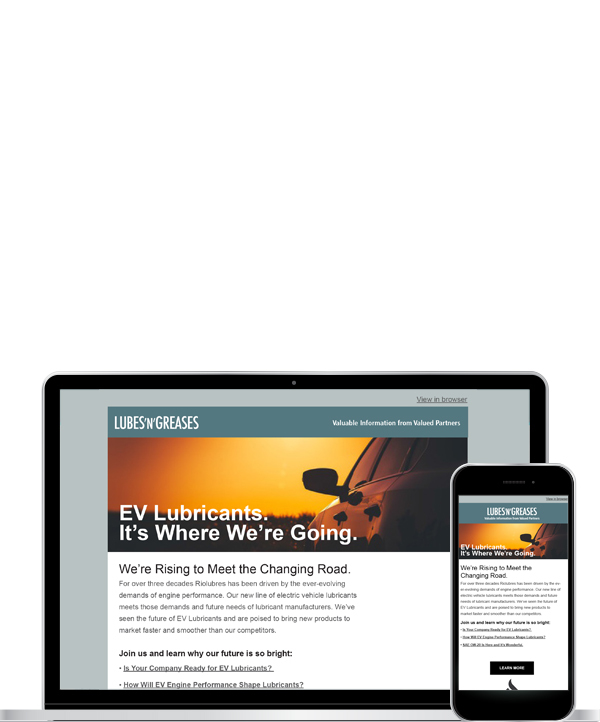 The email will be sent from Lubes’n’Greases but you provide the content and the subject field will reflect your marketing message. Following the email send we will provide you with open rates and click through metrics so that you can measure the effectiveness of the email. *Contact us for an up-to-date list of countries that are excluded from the research. © LNG Publishing Company, Inc. All Rights Reserved.